USAID and ConocoPhillips Extend Partnership aims to help horticulture project in rural communities of Timor-Leste by training farmers in new agriculture techniques to increase productivity, including the use of organic fertilizer and drip irrigation. In May 2012, USAID/Timor-Leste and ConocoPhillips entered into a partnership to support the expansion of USAID's Developing Agricultural Communities (DAC) activity into ten new communities in Aileu District. The partnership enabled more than 200 farmers to become participants in DAC training and market linkage activities. As a result of their participation, these farmers have seen their income from horticulture production increase dramatically, in some cases by more than 400%. In June 2014, USAID and ConcoPhillips expanded the partnership to provide training for farmers in 10 new communities and to assist the development of input suppliers and traders to support the horticulture market in those communities. DAI works on the frontlines of global development. Transforming ideas into action—action into impact. They are committed to shaping a more livable world. They tackle fundamental social and economic development problems caused by inefficient markets, ineffective governance, and instability. They work with a wide range of clients, including national and local governments, bilateral and multilateral donors, private corporations, and philanthropies. Since 1970, they have worked in more than 150 countries—delivering results across the spectrum of international development contexts, from stable societies and high-growth economies to challenging environments racked by political or military conflict. DAI’s mission is to make a lasting difference in the world by helping people improve their lives. They envision a world in which communities and societies become more prosperous, fairer and better governed, safer, healthier, and environmentally more sustainable. To achieve this mission, they must be a great place to work and they must be a successful business. They need to attract and retain extraordinary talent, and provide their team with professional opportunity, fair salary and benefits, and a healthy work-life balance. They also must perform as a business so that they can meet their obligations, invest in their future, and reward their employee owners. The more successful they are as a business, the greater development impact they can have. Integrity: they have an uncompromising commitment to civility and ethical behavior. They play by the rules and do the right thing. Responsibility: they are accountable to their clients, their colleagues, and the communities where they work. If they fall short, they own up, fix the problem, and get it right the next time. Excellence: they demand of THEMselves the highest technical and professional standards. They celebrate innovation, learning, and service. They have an unwavering desire to “stretch,” as individuals and as an organization. Global Citizenship: they are a global company with a global outlook. They depend on their diversity, respect the cultures in which they work, and treat everyone, everywhere with professionalism and dignity. They thrive on collaboration with their partners around the world, and share with them the hope that their work will leave the world a better place. ConocoPhillips is the world’s largest independent exploration and production (E&P) company based on proved reserves and production of liquids and natural gas. ConocoPhillips explores for, produce, transport and market crude oil, bitumen, natural gas, natural gas liquids and liquefied natural gas on a worldwide basis. 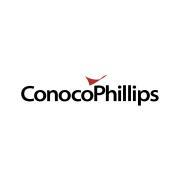 ConocoPhillips had operations and activities in 27 countries, with approximately 19,200 employees, as of June 30, 2014. Operations are managed through six segments, which are defined by geographic region: Alaska, Lower 48, Canada, Europe, Asia Pacific and Middle East, and Other International. As of April, 1, 2014, Latin America and Poland are being reported as part of the Other International segment. Prior to April 1, 2014, they were reported in the Lower 48 and Latin America segment and Europe segment, respectively. ConocoPhillips carried out exploration activities in 18 countries and produced hydrocarbons in 13 countries as of June 30, 2014. Key focus areas include safely operating worldwide; growing North American unconventional, conventional and oil sands businesses; executing a number of international development programs and major projects; and conducting a global exploration program. ConocoPhillips also have detailed processes in place to address sustainable development in the economic, environmental and social performance. The processes, related tools and requirements focus on water, biodiversity and climate change, as well as social and stakeholder issues. In 2013, ConocoPhillips updated the strategies and action plans for these important issues and focused on goals such as reducing water use in the Eagle Ford and methane emissions in the San Juan Basin. ConocoPhillips revamped the SD report to more effectively communicate with interested stakeholders with better search capability, specific examples and forward-looking goals in the updated SD Action Plans. The objective of these plans is to prepare the company to succeed in a world challenged by complex environmental, social and economic issues and increasing stakeholder expectations. ConocoPhillips prides themselves on serving as responsible citizens in the communities where the employees live and work. ConocoPhillips contributes to the well-being of these communities through charitable giving, employee volunteerism, sponsorships and civic leadership. In 2013, ConocoPhillips provided assistance ranging from disaster relief after flooding and fires in North America, to working with the Norwegian People’s Aid to remove land mines in Angola. For the eighth consecutive year, the ConocoPhillips SPIRIT of Conservation program focused on protecting, restoring and improving migratory bird habitats. The company also continued its focus on education, providing assistance to organizations globally, like the Spark Engineering Camp in Australia. Finally, the company participated in nine United Way campaigns around the world, raising more than $8.6 million in employee, retiree and company contributions.